from the example after that. Might want to say that it requires Python 3 in the post then – I for one still use Python2 (because typing python3 is soooo much harder than just typing python xD ) and a lot of people I know do the same. I thought it was long enough! We do state that when we use zip in the documentation. But I hate having to put brackets round print… I always forget and it takes longer! On a serious note, I have started switching to Python3, but the convenience of being able to sit down at any Mac and program in Python2 means I won’t be switching completely away for a little while yet. No prob – we will continue supporting Python 2 in GPIO Zero as long as is necessary (i.e. at least until Py2’s EOL in 2020); even after we drop support, old versions will remain available (at least via pip) so there’s nothing absolutely forcing you off. Still, there’s a lot of very nice stuff in Py3.4 which is worth upgrading for (even in basic file-handling you’ve got the ‘x’ mode in open() and the new pathlib, let alone all the other stdlib improvements). Painful though any migration is, I’d say this one is now worth it (it honestly wasn’t back during 3.2, but 3.4 and beyond are *much* better). I know it’s not the Debian Way, but I really wish Raspbian shipped with Python 3.6.x, rather than 3.4.2, which is well over two and a half years old (about a century in Internet years). Raspbian Stretch will be out soon, and that comes with Python 3.5. It’s not 3.6 but, you know, Debian. I start my scripts with the recommended “#!/usr/bin/env python3” and they Just Work. It’s wonderful to be able to write command-line utilities in (a non-deprecated version of) a language that works on both the Mac and Raspberry Pi. works in both Python 2 and 3, and is the correct way to do things now. Of course you can install Python3 on Mac, and I have done so about a year ago on mine. However, my point is that I’m able to write a Python2 program and know it’ll run on any Mac without installing anything. Very very useful, especially in education environments where installing software isn’t allowed. Hi there, I have a question, this new function will not replace or erase the GPIO habitual library, isn’t it?. 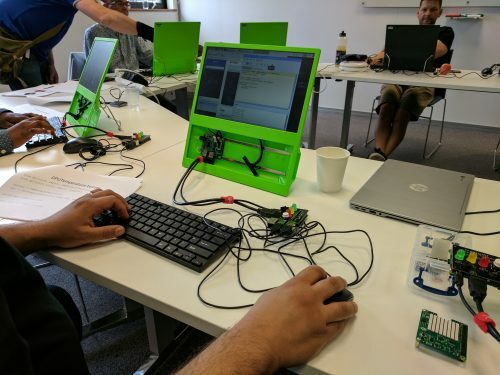 GPIO Zero is built to use a number of different low-level GPIO libraries, and the default one used is RPi.GPIO which we’re not going to remove – it’ll still be installed in Raspbian, and can be used by GPIO Zero or on its own. Just to expand on Ben’s answer: our intention here is not to *replace* anything but to augment it. There’d be no point in forcing people away from an implementation they were familiar with, especially when we rely upon it for our own functionality. 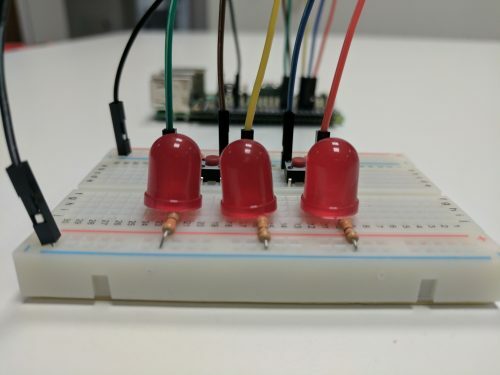 We seek to provide alternate (hopefully useful) ways of approaching GPIO programming. The major difference between GPIO Zero and the existing GPIO implementations (RPi.GPIO, RPIO, and pigpio, which it builds upon) is that the all the existing implementations are concerned with the GPIO *pins*, while GPIO Zero is concerned with the *devices* attached to the pins. When the library knows what you intend to address (an LED, a button, a motion sensor, etc.) it can make inferences about how it should control the pin you’re using (input, output, pull-ups, or even protocols like SPI), and it can present interfaces relevant to that device. We think that’s a friendlier way to present GPIO programming, but as mentioned it’s not the only one and we certain won’t be forcing it upon anybody. 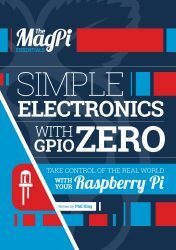 As someone who has used GPIO Zero quite a bit, I really want to say Thank You! No more messing about with multi-threading, just tie things to an event. No more .setwarnings(), lovely. Great job Ben, Dave & team – love using it. Writing resources using it is a lot simpler now too. Great to hear about all the advanced and new functionality available too! Thanks for the pinout program. That’s an excellent addition to GPIOzero (which I don’t often use but think is a wonderful tool for making this stuff easy). Excellent news! These new additional features to enable stateless gpio programming will make it so much simpler for kids to dive in without having to understand all the little nuances of hardware right off the bat. Thanks so much for all your hard work! Great work and this library certainly makes things a lot simpler. But as a beginner I might be missing something here but in GPIOzero I wish that there was a simple way of rotating a Stepper motor forwards or backwards just like you can turn a led on or off. The motor functions in GPIOzero are for a normal dc motor ? That’s on the roadmap for the next release: to provide support for a wider range of motor types, including stepper motors. You can use stepper motors with gpiozero now, you just have to use the base class OutputDevice on each of the pins, and use appropriate logic to control them as desired. I always forget the pin assignments. A man page with even more details would make it even more useful. We’ll probably add a single level of alt functions in a future release, but it’ll probably require an --alt flag so that regular users just see the simple version by default. Have you seen pinout -h? We did actually prepare a man page but… forgot to include it with the Debian package. It’ll be in the next release. My fault for forgetting the man-page … spent an hour getting it write in the sphinx build and then completely forgot to include it in the .deb package! This looks great but I have a question about it all. Before converting all the pins to GPIO, the R-Pi had serial and IC2 connectivity to a few of these pins, which allows one (like a project I was doing) to connect “smart devices” to the GPIO in a “network.” My project connected a few Arduinoes to these pins and communicate with the R-Pi and do various tasks as per their programs. Question is: are these functions still accessible on these pins? Great work though, this expands the GPIO greatly. Another question, on the older Model A/B’s is the GPIO expanded similarly? I know the GPIO on these units are smaller but are the Serial and IC2 pins converted as GPIO as per the newer units? This would be very interesting if it works. The pinout tool works on any Pi model, and will show you the GPIO header for your Pi, including the extra header on some of the old 26-pin models. I learned by the hard way that it is not the best tool/solution when experimenting with the HC-SR04 ultrasonic distance meter and it is still promoted in the learning resource for ‘kids’. I think a warning/comment there would be correct. Now it is needless frustrating of learners. pinout command returns “-bash command not found” with Jessie Lite updated 15-8-2017 on a Pi zero W.
Python shows version 1.4.0 installed. Any ideas what I’ve missed? That was the issue. Have installed python3 & GPIO zero for 3 & pinout works now. That’s true. The pinout tool is only added by the Python 3 version of the package, because there would be a conflict if both versions tried to add it. any examples of securing the remote gpio over ssh?